This contest is about Health and Fitness. Anything that make You feel better and improve Your body condition is good for making a render for this month. Be it Your daily workout, exercise, talking a walk or even doctors or medicinal plants that could be helpful including teas, healthy food and everything else that comes to Your mind. Wow! Where is everybody? We're at the beginning of day 4 already! I am hoping people will be interested in making some nice entries. I tried making some better signature but ended with this simple but ready in time one :) Was a bit busy lately with some paperwork but will try to make some pictures, at least for new user contest, maybe Bryce and some others but we will see about it, if I can make one or two it would be nice. Time is certainly flying by. I have an idea for a render. Just have to put it together now. Last month it took me three quarters of the month to come up with an idea! I admire people who can come up with an idea, find freebies to execute it, set up the scene, the posing, the lighting.. all the test renders, and come up with a final render at a decent scale and ppi, with a document listing everything they used, in only five days. Do I detect a note of sarcasm in your post, Fiona? They will come...give them time to get an entry together. OK...time to post my donations. I will be giving 2 donations this month. As usual, all the winners will get my prizes including HMs. 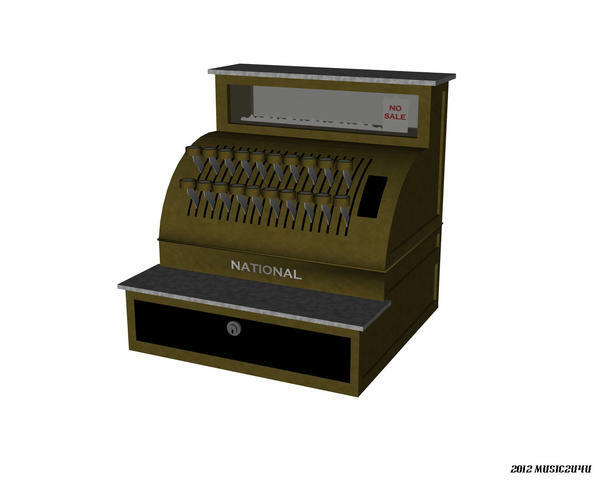 The first is my "Carter's General Store" model. It has a whole bunch of props with it. It is in .obj format so any program can import it that takes obj format. All the files are set to load where they go by default. Remember...do not move the maps folder. It holds all the textures and if moved, they will not load. Once you load an .obj, you can then move it where ever you want. 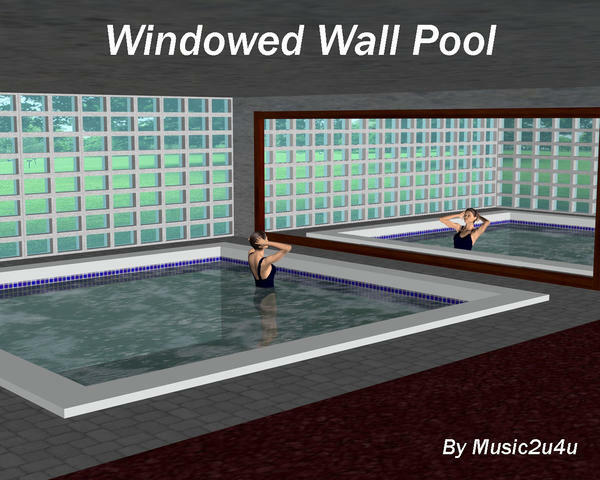 The second is my "Window Walled Pool" model. Inside pool with one wall a giant mirror, the other has tiny windows. This one is in Poser and Daz .pp2 format, so just drop it into your runtime and it will work. ALL WINNERS WILL GET THESE. Here are a few screen grabs. Thanks, Music. Very generous of you, as always. And a building with insides and out! Kageto decides to try teaching Tommie some basic Martial Arts techniques. What could possibly go wrong? Very nice, all links checked, ENTRY ACCEPTED. I just tested both links and they work fine for me. They work now :) ok everything is good then, Thank You. Haven't done a monthly freebie render in a long time, so I thought I'd try one out in Iray! I like how it turned out so much, I think I'll render at a higher resolution and postwork it for my personal gallery! One thing I noticed is the shadows look off, considering where the sun is. But overall, very nice. Edit: The position is "Shiva." I didn't think the pose pack had names on them, but it does! It looks much better on G2F (slightly tweaked to account for figure differences) than on V4 because G2F is so smooth and fluid! And I laughed when the program notified me that the pose fell outside the figure's limits. It sure as heck is out of MY limits! Argh, and here I thought I actually worked pretty hard on getting the sun/shadows in the right place! The BG image actually shows the sun, (it's off-screen, but the really bright spot in the clouds is obviously right next to the sun, lol!) So I knew where the sun was SUPPOSED to be. I set the date/time/latitude/longitude to a setting where sunlight would be coming from that spot. Maybe the DOF on the camera just makes the shadows harder to visualize. Idk. Lord knows I stared at it for a loooooong time. 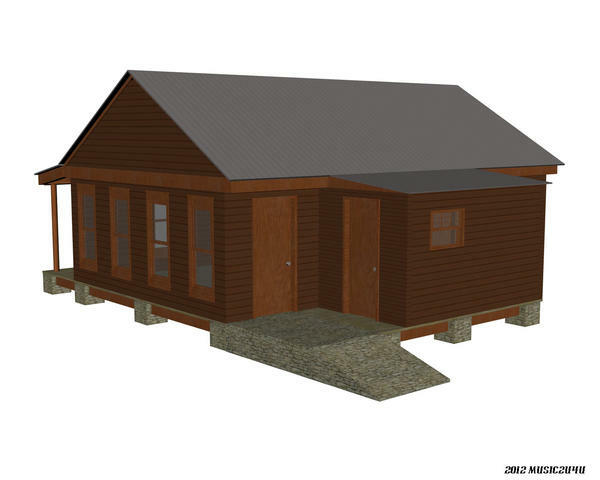 In any event, it was my first Iray render, and I'm pretty pleased with it! OK, I thought that bright spot was where the sun is. If it's actually off screen to the right, then maybe the shadows are more correct. Sorry about that. Usually when the clouds are that bright, it's because the sun is right there behind the bright spot. That's what threw me off. I chuckled at the "Ford" hat -- wasn't expecting that! Awesome use of all those Eastern-themed elements, too. Lots of cool stuff in there that I've never seen before. (This is why I love the freebie contest -- I always walk away with new content!) Great way to kick off the month! No, I appreciate the feedback -- and actually, this brings up a question I had, which maybe someone can help with. The Environment /backdrop tab has options to rotate and flip your BG image, but no (obvious) way to shift it. Does such a setting exist? In Poser, it would be a material room fix because the background is based on a shader just like everything else, so you could change the tile offset. I can't see a way to do that in DS. I have no idea if this setting is 4.8 specific or if it's been this way in older versions of DS, because I've rarely used a background image up to now. I prefer skydomes (because they're easy to adjust) but with Iray, skydomes are a bad idea for a plethora of reasons. Still, it would have been MUCH easier to rotate the sky than fiddle with the sun. And, wow, doesn't that last sentence make me sound very god-like...! I chuckled at the "Ford" hat -- wasn't expecting that! Awesome use of all those Eastern-themed elements, too. Lots of cool stuff in there that I've never seen before. (This is why I love the freebie contest -- I always walk away with new content!) Great way to kick off the month!If you know my character Tommie, she very rarely goes without her Ford cap. Very nicely done, all links checked, ENTRY ACCEPTED. Everything looks good, just a nice feeling to it :). Music wants me to let you know that he is having problems logging in at the moment. Sure, ok :) hoping that everything will be good.